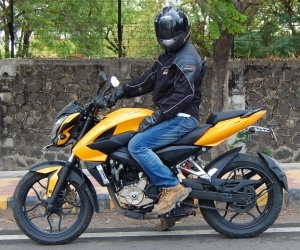 Official Photos, Price, Specs and details of Bajaj's "Bharat" Bike, the Boxer BM150.. The Boxer BM150 doesn't have the Bajaj "B" logo on its tank..
“Bharat Bike”, that’s how Bajaj is calling its new bike the Boxer BM150. This bike seems to be aimed at customers from the villages and towns of India (that’s why the name “Bharat Bike”) where the need for a rugged motorcycle is more. 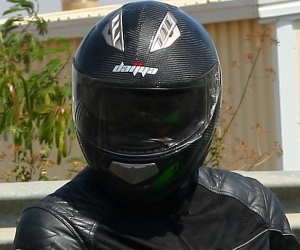 Posted below are the Official Photos, Specs and the Press Release of the Bharat Bike from Bajaj Auto. 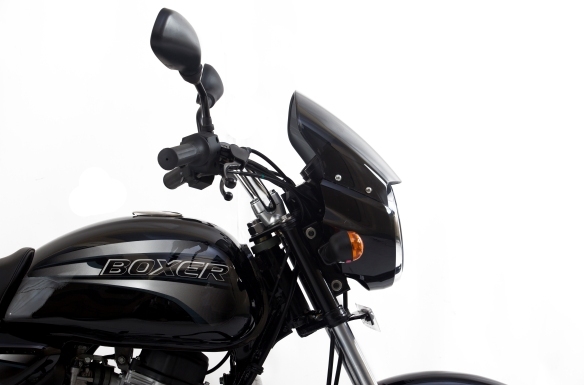 The styling of the Boxer BM150 is reminiscent of motorcycle from the 1970-80’s era. With a “Bigger Engine, a Bigger Frame, Bigger Tyres, Bigger Suspension, Bigger Headlights and a Bigger seat” Bajaj is hoping that the Bajaj Boxer BM150 would make an impression with the rural and town folk of India. 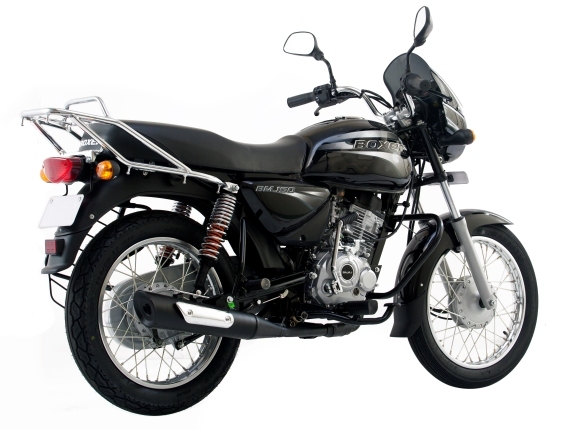 The Boxer BM150 has the typical Bajaj trademark of offering maximum bang for your buck. At Rs. 42,000 (ex-showroom) the pricing is disruptive to say the least, since other popular 100 cc bikes like the Hero Honda CD Deluxe/Splendor, TVS Star City/Sport and Bajaj’s own Platina/Discover 100 also come within a similar price range. Plus to make the package more enticing, a Self Start has also been thrown in as a standard feature in the Boxer BM150. 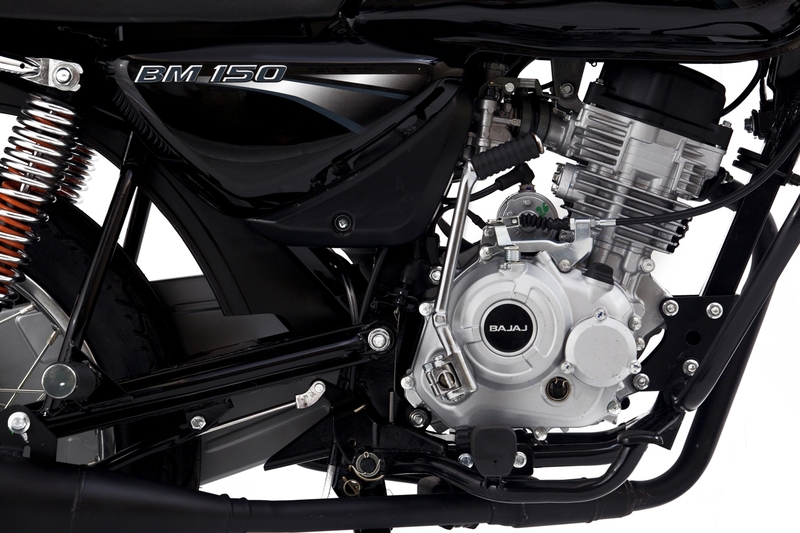 The Boxer BM150 has being launched only in a single Black Color and with Self Start as a standard feature.. It is interesting to note that the Boxer BM150 doesn't have the Bajaj "B" logo on it's tank. It is just on the engine covers which has the Bajaj branding. So it looks like Bajaj is on it's way to promote it's product brands and let the parent brand stay in the background. Will the “Bharat Bike” make the “Bharatiya” people remove their blindfold and look for something else apart from “Splendor Ka Bharosa”? Only time will tell. The 144.8 cc engine of the Boxer BM150 seems to have been borrowed from the Discover 150 sans the DTS-i (Digital Twin Spark plug Ignition) tech of Bajaj. The 12 Ps of Power and 12.26 Nm of Torque that the 150 cc mill makes is almost 50% more than what similarly priced 100 cc commuters make. Carrying forward the simple & rugged bike theme, the Boxer BM150 gets 4 Gears, Spoke wheels, Drum Brakes, Flat Seat profile, Simple Fuel Tank design and a body with more emphasis on metal. The rear tyre is a chunky 100 section with a rugged tread pattern. The Boxer BM150 has being launched only in a single Black Color. "Positioned as the ‘Bharat’ bike, the Boxer is designed to provide a comfortable riding experience in all kind of demanding situations and to reach out to customers beyond the big cities and towns. The new Boxer is the first of its kind – designed for use and abuse in all kinds of terrain. Conventional 100 cc bikes perform adequately on smooth roads but are not geared to handle the tough terrain outside the cities. The Boxer’s 150cc engine delivers 12 Ps power and 12.26 Nm torque – nearly 50% more than the standard 100 cc’s – to make a demanding commute with any kind of load and on any kind of terrain situation far easier. The bike boasts of host of other strength advantages in terms of its rugged frame, swing arm and chassis, metal body parts, twin spring SNS suspension and a heavy duty carrier. The wider tyre ensures both grip and stability for any road and load condition. What more the Boxer 150 with an electric start sports an attractive price tag of Rs. 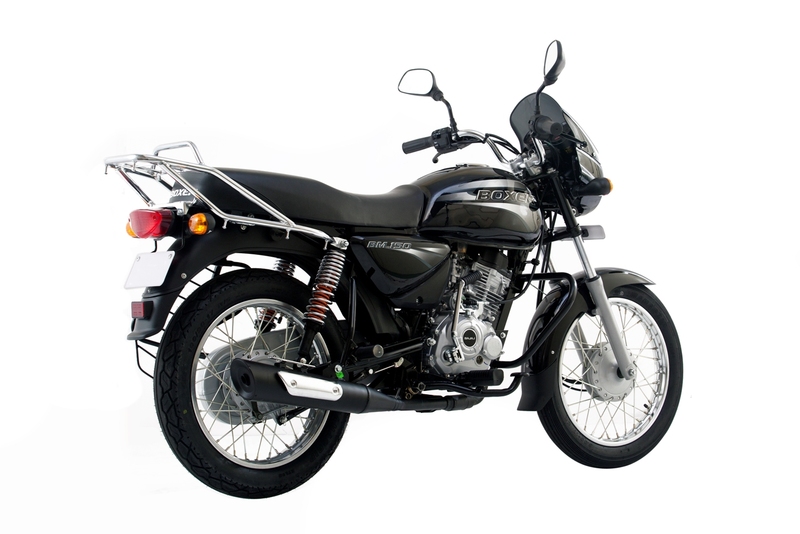 42,000 – a customer can now a own a 150 cc at the price less than that of most 100cc bikes. This launch is a part of our strategy of providing relevant differentiated products to meet the needs of a variety of consumers. A significant segment of consumers in the smaller towns need a powerful, rugged utility bike. The Boxer has been designed as an “SUV on two wheels” to specifically meet their requirement. 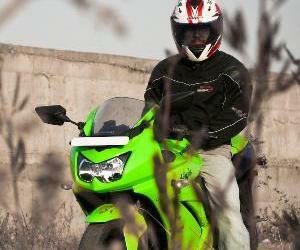 Currently smaller 100cc bikes are dominant in the towns and villages across the country. This big Bharat bike with a bigger heart provides Bajaj Auto with a huge opportunity to attract consumers looking out for a safe comfortable ride on the roughest of roads". Honestly, if I hadn't bought the FZ, I would have seriously considered this ahead of all other plasticky bikes of this country. my dada had a boxer AT.now its gonna be more than 11 years. We still have dat wid us. a good commuting bike still in good condition engine is perfect. At de begining it gave an average of 70 kmpl. Still it gives 55 kmpl. Which i seems to be an amazing mileage. Metal parts are still good without rusting. I changed the silencer dats de only thing i changed in dis beauty. Bike has covered more than 2lakh km. My dada is no more. But me and brother still commute and enjoys de ride in dis beauty. Thanx to bajaj.let Boxer be a boxoffice hit. >> This bike can be modified anyhow . . Just remove the rear carrier and the Mud Guard/Flap and you get the RD look !! The Ducati Feel !! i really wonder, why the official bajaj website doesn't have a single bit of information about Boxer BM150!. This bike is really very tough and commendable. For the Lovers of bajaj i would like to tell you that i fall in love for the bike at first sight. It has that Authentic look of Older Bajaj Boxer 100cc. 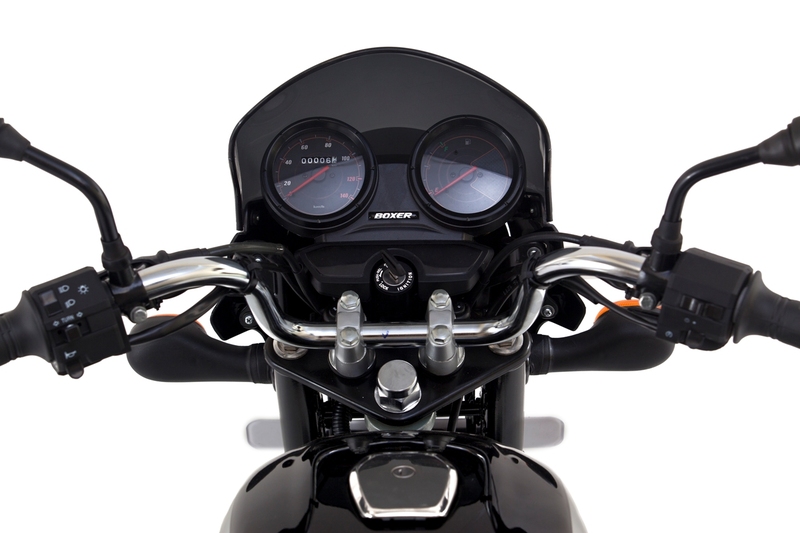 Long Pillion seat and strong chasis and Frame that gives a power pack and rigid look. 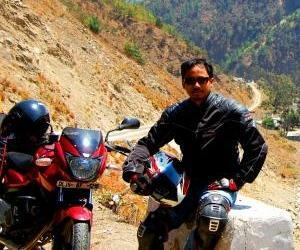 Riding is smooth without backache unlike the Discover or Pulsar. The Pickup is quite Smart and reaches 60 within 6 Seconds. 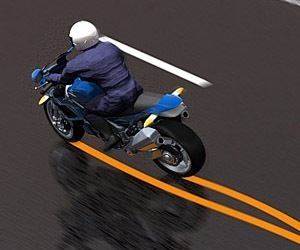 Maneuring and taking turns can be taken at very ease because of big tyres and sleek design of bike. The body balance is excellent and can be controlled at any traffic congestion. The tank is very sleek and has a powerful head lamp as that of a Bullet which makes even more great looks. But the grab rails and Load holder is the only one which makes the bike little Shabby. This bike will come for a long run as it has mileage of 65 and 4 Shift gears which will outrun the rivals of 100CC Splendour. This bike promises to deliver performance like Caliber,Boxer, CT100. Bajaj has comeout with a Excellent Master piece after a long time for the people most needed mileage and performance. People dont go for the looks but check this beast and you will come to know about it. Bajaj has designed this bike keeping in mind of every expectation of an Indian need. May be in future the bike might role out slight modification. It is not only for rural or Urban but also for cities. Hats Off to Bajaj. "mage wheel insatade of spoke wheel". and get 100% indian real bharat bajaj boxer at 22century.